Sharpening your claws is essential when you're a cat. 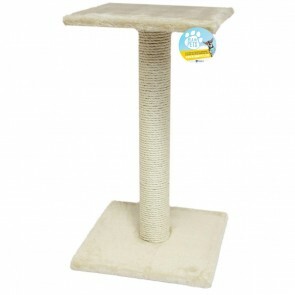 That's why we've put together this must-have range of cat scratching posts, trees and toys. There's something for even the smallest of spaces and not to mention our exceptionally useful range of floor and wall protectors to keep that wallpaper safe from your cat's claws. Easy to install, they could end up saving you from having to redecorate! You'll find some fantastic value scratching posts with fun toys, a variety of colours and all made from durable materials such as sisal. Cats just can't resist them!